"""Input format for pfunc, pairs, mfe"""
"""Input format for subopt with secondary structure"""
##"segs" is a tuple where domains are defined. A baseline example is provided below. So long as the general format is followed, domains can be added/removed as needed. ##The first column indicates whether the associated bases are opening "(", closing ")", or unpaired ".". This should have been determined when the NUPACK Design Guidelines. ##The second columns is for the name of the domain. Typically, a simple letter-number scheme is used. As before, this was established through following the Guidelines. ##The third column is where you list the bases in that domain. Make sure your count is accurate as discrepencies will prevent the rest of the script from functioning. ##Note that bases must be listed from the 5' to the 3' end! strands = ['Strand A',           #Here, list the strands by letter in the order they were entered into "segs." #The below are for if you want to get a .in file that lists the strands. #The order must be assigned and equates to the maximum number of strands allowed to be in a complex. #The below are for evaluating the complexes accoridng to NUPACK's complexes command. #This calculates the partition function and equilibrium base pairing for each possible complex in a test tube. 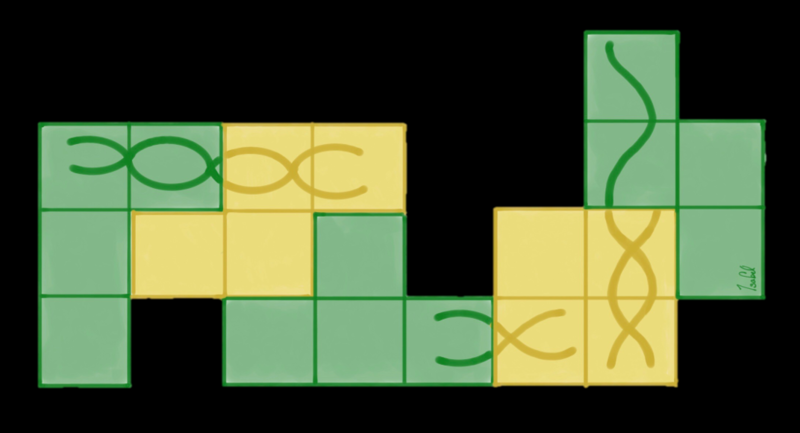 #For a complete analysis of possible tile structures, said order = number of unique strands. #Otherwise, a limited selection can be used by setting order =24 hours. #Calculates the secondary structure that has the minimum free energy possible for the designed system. #Output file is a .mfe with the same name as the one specified in the design script.